Recycled plastic outdoor furniture may be more expensive at the time of purchase, but will save money and hassle in the future. 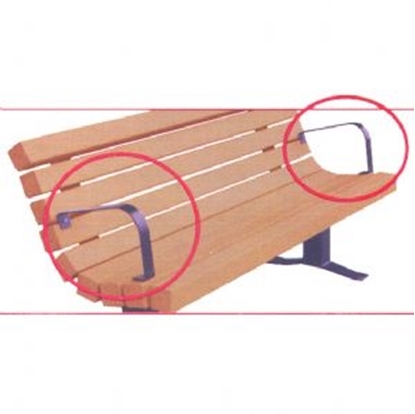 Recycled plastic benches are usually a one time purchase. Recycled plastic lumber requires no maintenance: no repainting, no staining, no repairing, and no replacing! 6 Foot Recycled Plastic Bench without Back and Steel Frame, Inground / Surface Mount, 155 lbs. Recycled Plastic Park Bench, without a Back 6 Foot commercial park benches. Recycled Plastic Park Bench without Back 6 Foot outdoor commercial park bench. Recycled Plastic Park Bench with Back, 8 Foot Commercial Recycled Plastic Benches. Recycled Plastic Park Bench with Back 6 Foot commercial outdoor park bench. Recycled plastic garden benches have gained in popularity as an environmentally friendly product in our new "green product" culture. Plastic recycled waste is plastic that used to be trash in landfills. Park Tables promotes "green furniture" selections by offering a wide selection of sizes and styles. 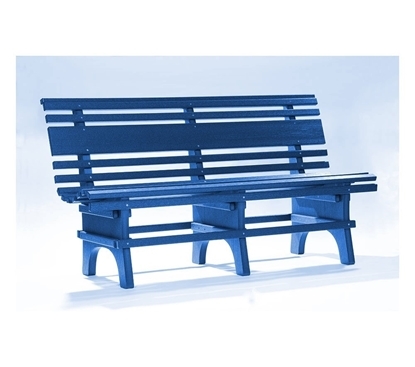 Use our purchasing power to save on commercial recycled plastic benches and use our low freight shipping.